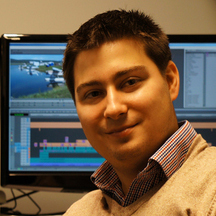 Bins are where any and every shot, sequence, title, mixdown, voiceover, sound effect, etc. are stored. There are a bunch of shortcuts that can make working with bins simpler and faster. Let’s jump into them. This shortcut creates a new bin. This shortcut creates a new sequence. This shortcut selects everything in a bin. This shortcut deselects everything in a bin. This shortcut closes an active bin. This shortcut is pretty universal in most software on both Macs and PCs. This shortcut duplicates selected item(s) in a bin. This shortcut groups selected clips together. Don’t worry about this if you’re not working in multicam. Holding Opt (Mac) or Alt (PC) and dragging a selected clip(s) from one bin to another will create a copy of the master clip. This is different from a duplicated item. With this method you use the same master clip for the same media. With a duplicated item you use different master clips with the same media. Select a column heading in a bin and use this shortcut to sort bin items in ascending order. Select a column heading in a bin and use this shortcut to sort bin items in descending order. While in Frame or Script View, use this shortcut to make the frames of items in a bin smaller. This is purely to help you see and doesn’t affect any media. 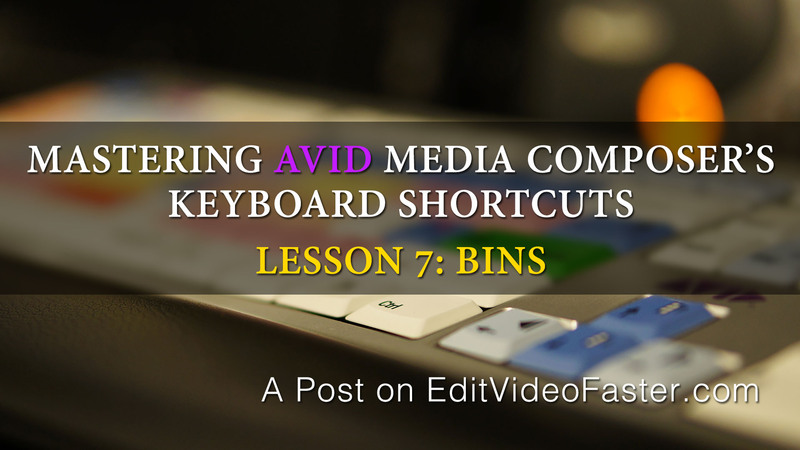 That’s all the shortcuts for Lesson 7 of Mastering Avid Media Composer’s Keyboard Shortcuts. What’d you think? Learn anything new? Ready for Lesson 8? Click here (or the image below) to go to it. Give me a shout if you have any questions. Leave me a comment below, message me through my contact page or send me an email – josh [at] editvideofaster.com. Align Clip Frame image to grid. When in Frame View, this shortcut will make the Clip Frame images align to an invisible grid. A good way to remember this shortcut is to think that “T” stands for “Tidy-up.